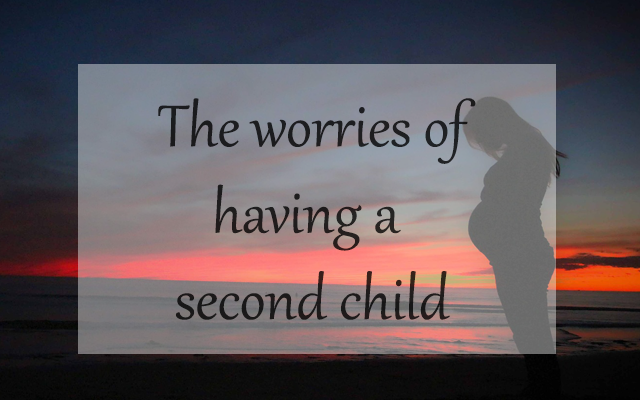 You would have thought that, when you give birth for the second, third or maybe even fourth time, it would be a much calmer, prepared affair because you are a pro now - you've done it all before and if you could do it the first time you can do it again - right? Or at least for me that is. I am expecting the arrival of my second child any day now and I am perhaps feeling even more nervous than I was the first time. I'm nervous because, rather than being a tad oblivious and only being able to guess what labour will be like, I now know what to expect. Granted, I have been able to stock up on paracetamol so that I don't have to rely on a Lemsip to get me through the initial stages like I did the first time, but I am fully aware of the pain I am about to go through and the struggle to get myself back to feeling normal in the weeks after. Of course, I am also getting excited for the new addition to our family and looking forward to seeing the bond between Bo and her new brother grow over the upcoming years. But so far, and rather ashamedly, I must admit the nerves have been overpowering the excitement. What will it be like introducing a new baby to the family? What if Bo feels pushed out by this new baby and doesn't feel as loved? How do I make sure that both children are happy and well and spend time with my husband and keep the house looking half presentable and keep my career rolling? What if this, plus the stress of going back to work in a few months time, edges me that bit closer to the oh so dreaded postpartum depression? There are so many worries whirling round in my head at this moment in time that I felt I just had to get them down in writing. Which, after all, is the purpose of this blog - is it not? So I am also going to apologise for this being such a downer of a post - I don't like to write negative posts, in fact I prefer to concentrate on the more positive things in life, but sometimes you just need to get it all out, write it all down and lay yourself bare. Have any of you that have had more than one pregnancy found the same thing? I'm a terrible worrier haha so I guess I'm not surprised. I guess I hoped I would worry less at least but ended up worrying more because I knew what was coming!